When the MC was giving food to Mo Chen (the name of the guy wearing white), she accidentally dirtied his white coat with her greasy hands. The MC tells him not to mind it, she will help wash it clean after they finish eating. When they finished eating, the MC told him to come to the nearby stream with her to wash their hands. Mo Chen asked the MC to wash his coat, however, she accidentally ripped it from scrubbing too hard. When Mo Chen heard the sound of tearing, he quickly looked at the MC washing his clothes. He didn't know how the MC did it, but instead of having the grease come off, the stain got bigger and the color of the cloth was more faded. The MC looked at him in embarrassment and offered to replace his robe. Mo Chen then says that she would not be able to afford it for it was made from silkworms tread that only appears once every three years. Mo Chen then suggested that since she was an alchemy student, she could help him find five types of ingredients but they were all rare. The MC then complained and said there was no way she would agree. Since he also ate the meat and drank the soup, he was her accomplice. When Mo Chen heard what the MC had to say about the ingredients he needed to find, he was surprised that the MC knew or had knowledge of those ingredients. The MC went to sleep at a branch on top of a tree. When she woke up, she found Mo Chen waiting for her and almost fell off the tree due to her surprise. Mo Chen brought up the topic of her tearing his clothes in order to get her to help him find ingredients. The MC made excuses that the monsters he had to kill to get them are too difficult for her and she didn't want to lose her life. In the end, she agreed to help him but she was only in charge of looking for the ingredients and he was in charge of the killing. On the way to look for ingredients, she kept asking him where he was studying (what division). In the end, she concluded that he wasn't a student but a teacher. When they gathered all the materials, the MC found it that Mo Chen was actually an alchemist. When he finished concocting, the MC realized that he made a rank 6 pill but she also realized that she couldn’t be an alchemist because the lotus in her dantian ate all her spiritual power. The MC bid farewell to Mo Chen and spent half a month collecting fire crystals. In her quest, she saved and accidentally met Ye Jing, the woman she groped. Because Ye Jing’s foot was injured, the MC tried to help her, but when the MC took off her shoes, Ye Jing wouldn’t stop struggling so the MC got one of her animal companions to hold down Ye Jing to stop her from moving so she could check on her injury. Ye Jing thought that the MC was a “flower thief.” Ye Jing then called out for Ruo Fei, the white-robed girl who beat up the MC on the streets when the MC accidentally groped Ye Jing. Ruo Fei, however, was hiding behind a tree, watching everything. But when the animal holding down Ye Jing growled at Ruo Fei, she fled. Note: The animal is a Black Bear the MC calls as “Little Black.” She didn’t actually tame it. Just made friends with it by feeding it potions. When Ye Jing realized that the MC was sincerely helping her with her injury, she stopped struggling. Ye Jing apologized for the misunderstanding. They go back to the Academy together. But since Ye Jing couldn't walk, the MC had "Little Black" carry her. Although Ye Jing wanted to find her friend, Ruo Fei, the MC told Ye Jing that Ruo Fei was much smarter than her (for running away). When they reached the Academy, the MC told Little Black to go back to the Beast Mountain, but it stated that it had no intention of going back. The MC allowed it to stay and guard her dorm. Then, Swallowing Cloud riding on Old White arrived and greeted the MC. Note: Swallowing Cloud is the scared beast given to the MC by the ML. It used to be own by the Liu family before the MC annihilated them. Swallowing Cloud then told the MC that her brother, Guan Xilan, had arrived and was in another courtyard. Before going to meet up with her brother, she decided to exchange the fire crystals. When she dumped all the fire crystals she had, it formed a small hill, stunning the steward in charge. A total of 3,980 pieces. The steward counted the number of crystals, and when he verified that it was correct, she received over two million credits. When steward asked if she wanted to exchange her credits, a large number of students followed behind her. Other students who saw what was happening thought that she was going to get bullied. But they found all the other students unconscious. When she reached the place, she asked the person in charge, an old man, if he could recommend some items for her to exchange. The old man recommended "Colorful Glass Feather/Plume" (literal translation) for 1.8 million credits. When the MC first arrived, the old man didn't check how much credit she had. He thought she didn't have enough. But after checking the balance on her jade card, he couldn't help but stare blankly. After getting her item, she headed out to meet her brother. As she walked, people kept staring at her waist where the Colorful Glass Feather was placed. It was one of the top three treasure that students want to redeem. It was made by an alumnus of the academy, it was weightless and colorful; a beautiful treasure in addition to being a fast flying instrument, it can also withstand three attacks from a Foundation expert. Rumors then started floating around that the treasure was redeemed by a year old alchemy student. The moment she arrived at Xuan Yuan, people surrounded her and asked if she had used the back door in order to redeem the treasure. Otherwise, there was no way that she could have gotten enough points in less than a month after enrolling in the academy. Note: I don't know how to translate Xuan Yuan. Maybe Martial Arts Courtyard? The MC's brother wasn't there, she wanted to leave but the students couldn't let the MC go. They didn't believe that she earned it on her own. She threatened that if they don't let her go, she will beat them up. She beat one person up and senior sister Zhou and senior brother Geng arrived. When the two asked for her name, she just ignored them. She started to beat up more people. Senior sister Zhou, Zhou Xuan offered to buy the treasure from her for a high price. She rejected him. And after the whole ordeal, she went back to her dorms. Ye Jing woke up and asked how she had gotten her heads on the treasure. She explained that she exchanged it with her points. Since Ye Jing saw that Black Bear listens to her command, she didn't ask more questions. The MC then asked Ye Jing if she has ever kissed someone. In reply, Ye Jing said she hasn't been in a relationship and asked why she was asking that question. The MC replied, "I have a brother named Guan Xilan. He is a very good person, strong and robust. He has a reliable person and a strong sense of responsibility. His strength is also very good. Do you want to think about it? He's not bad at all." Ye Jing listened to the MC open-mouthed while looking at her smile. "How about it? Actually, you don't have to give me an answer right now. Take a look at him first, and if you think it's not a bad deal, then you guys can develop further. I can tell you that you are the first person I introduced to my brother. No other woman has had this opportunity!" Ye Jing just laughed and said she will be going back to her dorms. The rumors had reached the other teachers and vice-president. The vice president finally found out that the MC was indeed in their academy, but she registered to the Alchemy division. It was also mentioned that the people the MC beat up had to be sent to the infirmary and they couldn't move for an hour. And now, they and additional students are on their way to her dorms. But they were stopped by Little Black. The MC told them that she didn't want to play with them because they were too weak. But since they insisted, she rolled up her sleeves. Before she could take action, a thunderous shout stopped all of them. The vice president, Old Guan, arrived. He then told the MC that he would transfer her to the "Spirit" Division (Ling Yuan) however, the two teachers of the alchemy division arrived to argue with the vice president that they only have one student in the alchemy division, so he can't transfer her away. In the end, they came to an agreement that she could attend "classes" from both divisions. Ye Jing came to pick up the MC to head of the spirit division as per requested by the vice principal. When they left, the MC spirit beasts all arrive. It was mentioned that they have been stealing ginseng, potions, and pills to eat from the alchemy division and it was not the first time they had done it. Before the MC arrived, some teachers were asking each other if there was a sixteen-year-old girl who registered to the academy. Apparently, Mo Chen was looking for her. But little did they know that she was dressed as a young boy and they had already met each other. When MC reached the spirit division, the teacher asked her for her current rank. They were surprised that she was already a great spirit master. But when he checked her elemental spirit root, they found that she had five elements, which was the worse spirit root. The MC realized that they didn’t know about mysterious spirit roots. When the alchemy teachers found out that a lot of their stuff was stolen, the appealed to the president and vice-president for help. In the end, other students were tasked to find the thief. The MC figured out that it was her tamed beasts who had stolen them and captured them before they got caught. 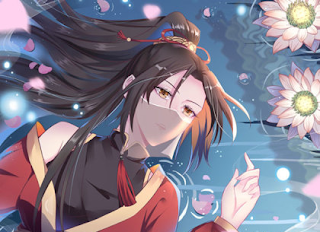 The MC was thinking about going out again to earn some points when she heard rumors about her and Ye Jing having an illicit romantic relationship floating around. She and Ye Jing were called by Teacher Lu, the same teacher who tested the MC’s spirit root, to clarify the situation. When another teacher tried to bring about more dispute, the MC said he was sick, in the literal meaning but the teacher thought that she was acting out against him. The MC ignored him. Teacher Lu gave them a day to find out who was behind the rumors when the MC and Ye Jing convinced him that they were not at all in a relationship. They both knew that it was Bai Roufei, Ye Jing’s so-called friend, who spread the rumors. Ye Jing asked if they should confront her immediately, but the MC said to give her some time. Ye Jing went to talk to her just to sound her out before leaving. The MC, on the other hand, made a 2nd rank pill, Truth Pill, and she was looking for someone to test it on but Old Bai ate one of them. Old Bai was then able to talk and spoke how the MC was the most beautiful woman he has ever met, how her figure was very nice and how he peeks at her when she takes a bath.